Supporters of the Peoples Democratic Party (PDP) gave a rousing welcome to the governorship candidate of the Peoples Democratic Party (PDP), Professor Kolapo Olusola as he arrived from Abuja on Thursday after collecting his certificate of return. Olusola, who emerged candidate of the PDP, arrived in a chartered helicopter in Ikere, his home town to a large crowd. Addressing the crowd, Olusola promised that the state would witness an unprecedented development during his tenure as governor when voted in. He said: "We appreciate our amiable and indefatigable governor. The man who has for the first time in this country stood solidly behind his deputy, openly and transparently, to ensure he emerges the party's candidate in order to be his successor. We will forever be grateful and we will retaliate with our votes. 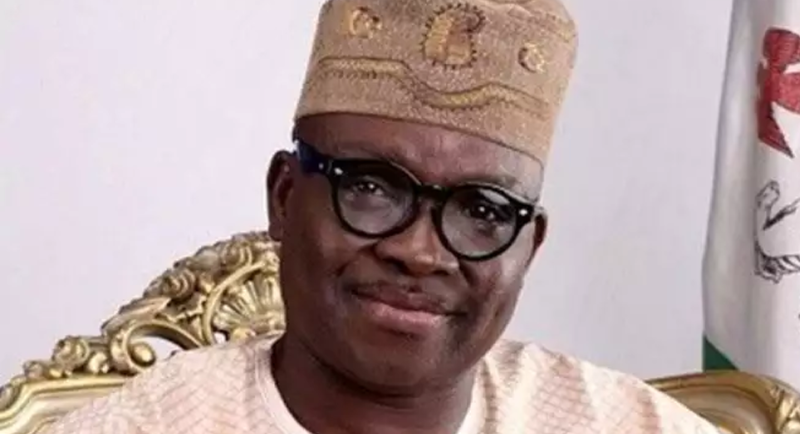 "I want to assure you that all the good things that this government has been giving to Ekiti will continue in my tenure. I want to assure you and the Ekiti people that, by the grace of God, I will not let you down. "For the people of Ekiti, your welfare will be paramount to our policies in government. I want to assure you that during my tenure, Ekiti will witness unprecedented development in all sectors." Governor Ayo Fayose led a vehement prayer session against the All Progressive Congress (APC) in the state, asking God to further put confusion into the primary of the party slated for Saturday. The excited crowd prayed vehemently against the opposition party and asked God to give PDP victory over other political parties.